EUR/USD: The EUR/USD continues to move higher but there is some indication that the short term rally is likely to come to an end very soon. Specifically, prices are beginning to stall at the 38.2% Fib retracement of the drop from 1.3710 (at 1.3115). Traders can take contrarian positions in this area, initiating sells until this level breaks clearly to the topside. 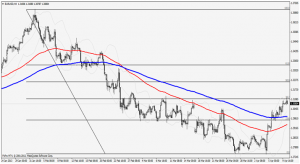 The validity of this resistance level will be confirmed if we see a downside break of 1.3070. If this occurs, the next target will be found at the psychological 1.30 level. USD/JPY: The USD/JPY is still in the midst of its strong upsurge, with prices only seeing minor downside corrections after hitting resistance at 99.60. Short term, this is the main area to watch on the topside but even if we do see see a break, the psychological 100 level is not far behind. This favors sell positions, as prices are unlikely to break through this region on first attempt. Downside support has now moved up to 98.05, which is the 23.6% Fib retracement of the latest rally. AUD/USD: The AUD/USD has broken through the historical double top at 1.0490, clearing the way for a run above 1.05. Long term support is now found at 1.0350 and the bias will remain positive as long as this area contains price activity. The latest rally has been forceful, however, so we are likely to see some corrective moves to the downside into the end of the week. Moving average activity is also supportive, as the 100 day EMA continues to trend above the 200 day EMA. 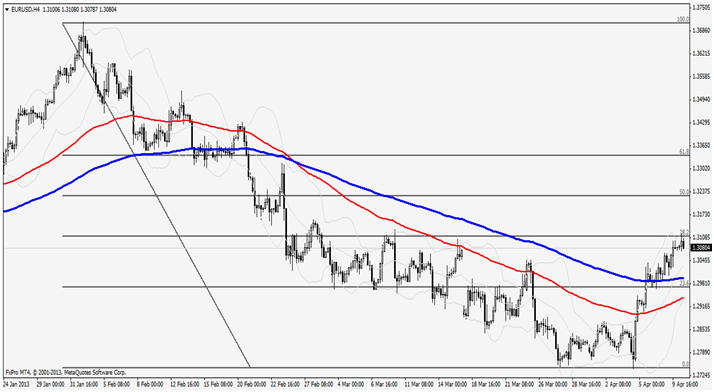 USD/CHF: The USD/CHF is starting to look very weak, after breaking through historical support at 0.9380. This area now becomes resistance and we will need to see an upside break here in order to reverse the bearish bias. At the moment, however, prices are holding below the 100/200 period moving average cluster on the daily charts, and this favors selling on rallies. The next level of downside support can be found at 0.9240. Indicator readings are not yet over-stretched, so there is scope for this area to be reached before the end of the week.